It’s been very quiet in the Agents of Field kitchen of late. With no home-grown produce to cook with (aside from one small pumpkin left over from last autumn’s harvest), I’ve been impatiently drumming my fingers on the sideboard, looking forlornly through photographs of last year’s bounty and willing the rhubarb in the back garden to get a move on. I know I’ll eat my words come August when I’ll be stuck in the kitchen, drowning under trugful’s of home-grown produce and wondering what the heck to do with it all! Yesterday, I visited the allotment with Ade. He’s been incredibly busy up there recently and it was great to see the seedlings growing happily in the polytunnel and the beds already planted up with potatoes and brassicas. But oh, the frustration at having to leave there empty-handed! At the end of the day, we packed up, closed the gate behind us and started walking down the allotment path. It was then that I saw them. Stinging nettles. Great clumps of them bordering the allotment fence. I’d already planned on using nettles to make a feed for the tomato plants later on in the season, but what about now, in April? Could I turn them into dinner? This afternoon, I returned to the allotment and armed with a bag and some robust gloves, I started harvesting nettles. I’d never eaten them before, although I had heard of their health benefits and it seemed crazy not to take advantage of their abundance up at the plot. March and April are the prime months for harvesting nettles, according to Hugh Fearnley-Whittingstall, before they flower and become coarse. It’s also recommended that you pick just the top 4-6 leaves of the plants which are young and tender. Make sure you wear gloves and keep your wrists and ankles protected as they do give a nasty sting! Get them home and wash them thoroughly, making sure you remove anything non-nettle that you may have picked up by mistake. 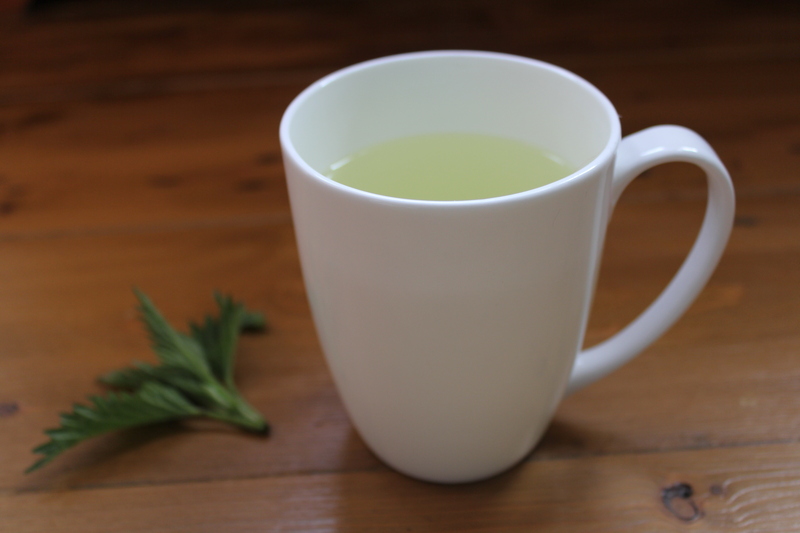 My first experiment was a simple nettle tea. I steeped a handful of the nettles in a teapot with some freshly boiled water and let them brew for 10 minutes before straining. The tea was like spring in a mug; a beautiful, pale green colour with a taste redolent of freshly-mown lawns! It was so refreshing and I’ll certainly make it again. But it was the punchy nettle pesto I whipped up for dinner tonight which was my big discovery! Utterly divine and so nutritious. Agent Sophie – you have a way with words that can make ANYTHING sound SO delicious! Why, thank you! It was surprisingly yummy! 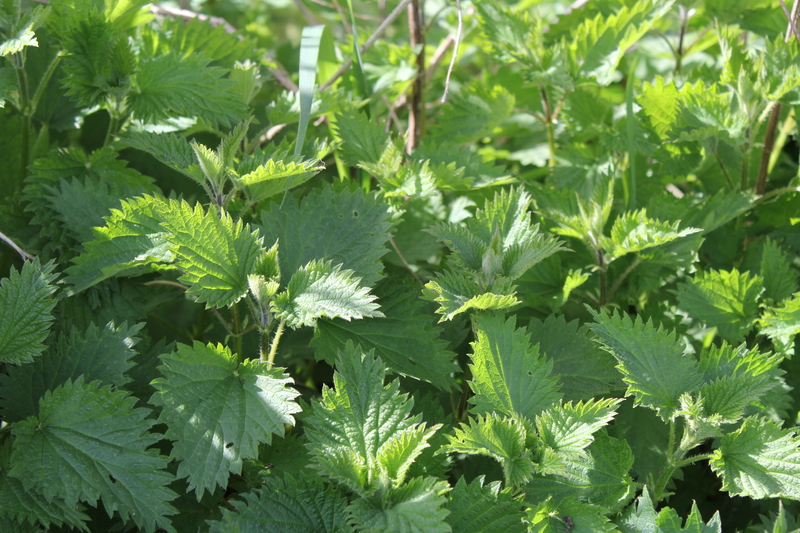 I’ve got a patch of ever-growing nettles and.after reading your piece, I’m going to have a go at producing some edible delights from them…..thank you for enlightening me on nettles.